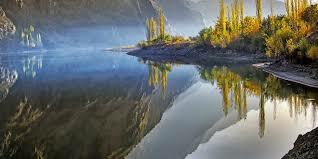 Khalti Lake is situated in the Tehsil Punial of Ghizer District, the westernmost part of the Gilgit–Baltistan region and northernmost territory of Pakistan. This lake is an important source of fresh water an has a stock of trout. A PTDC motel is situated nearby with a view of the lake. The water is extremely cold which flows directly from surrounding glaciers. The lake usually freezes in winter season and people can easily walk on it. 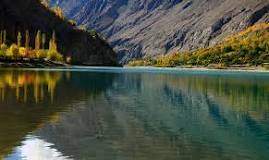 Khalti Lake is located in Khalti Village of Ghizer District (Gilgit-Baltistan), Pakistan at about 2,217 metres (7,274 ft) from sea level. The lake is known for its habitat of trout fish. 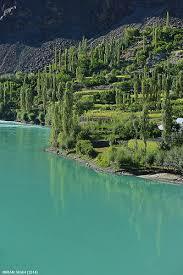 The lake is in a bend of the Ghizer River near the village of Khalti. 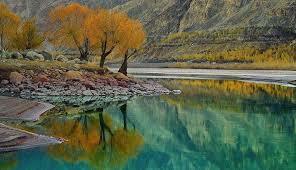 Khalti Lake is known for its stock of trout. 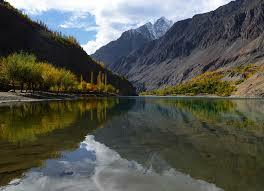 Originally, the trout was put into the River Ghizer near Golaghmuli Village. 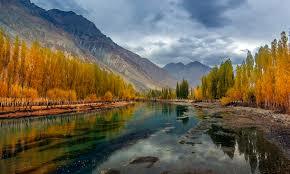 Those fishes increased in number and reached almost every part of Gupis Valley.